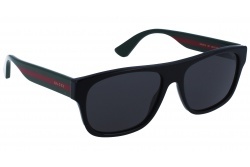 Gucci sunglasses probably are one of the star products of the brand. They stand out because of their big size. 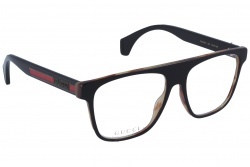 Gucci uses unconventional shapes in most of its models. 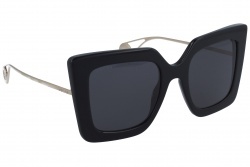 Inside these models, acetate and metal stand out among other materials. Inside its acetate sunglasses, highlights the thickness of the frame which creates an appearance of a rough sunglass. 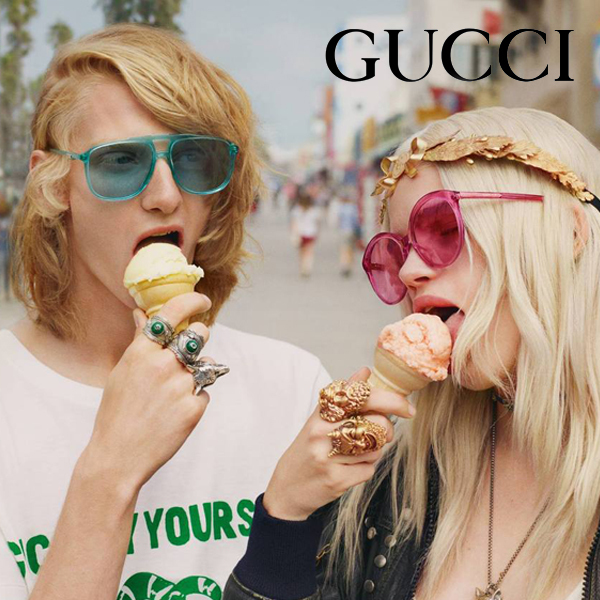 Gucci, is capable of sweeten these designs by using different colours. 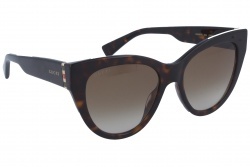 It also uses elements such as pearls, thumbtacks or Swarovski crystals.For these acetate frames the brand uses neutral colours such as black or brown. 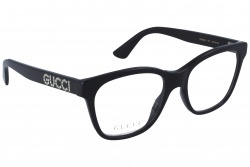 They frequently are combine different colours, such as the characteristics Gucci red and green or even in some cases pink and pale blue. 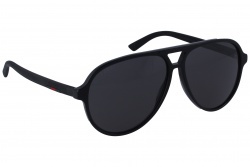 The brand tries to combine the metal frames with other materials details in order to make the sunglass more visible. 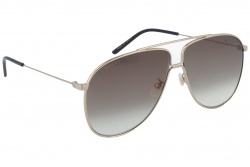 The manufacturer has made different versions of the most known Gucci's model: the aviator. 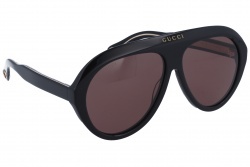 Gucci sunglasses for men have metal as the principal material in most of its glasses. 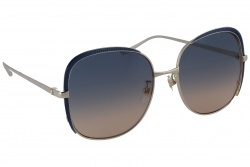 The aviator shape stand out inside the new collection because of the mix of acetate and metal, creating an unique combination. 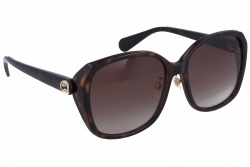 It also bets for the standard shapes such as the squared, because they always are a secure option. 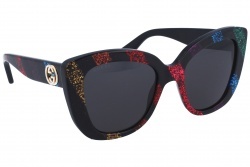 Through different elements, Gucci creates sunglasses for women that always surprise. In order to achieve this effect, it uses different combinations of shapes and materials that highlight woman's features. In 2019, the brand comes back with daring and amazing designs that challenge the conventional fashion patterns. An example of this is its new collection: "Cruise 2019". 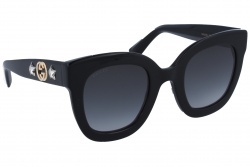 It presents acetate sunglasses with rhombus, square, oversize or floral motifs' shapes. 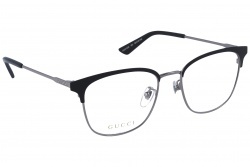 It is a tradition that metal and the oversized shapes are trend in Gucci's eyewear. 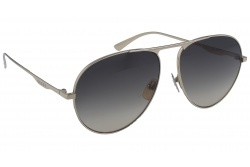 The brand keeps betting for big size models, giving importance to different kind of models, not only to the aviator one. Now, the Italian brand, bets for new hexagonal or square shapes. 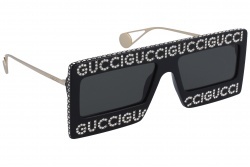 Gucci also proposes acetate eyeglasses. Among them, it is possible to find a greater variety of shapes and colours. 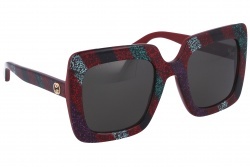 Some of them belong to different collections in which the main motif is the print of the frame. 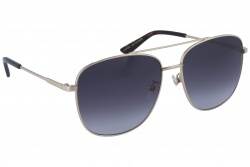 Acetate frames offer a greater firmness and durability sensation. 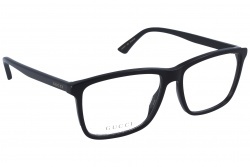 Gucci is an important brand due to the fact that it is one of the luxury brands with more followers around the world. 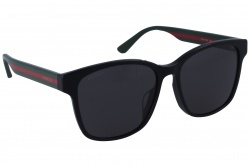 It is not casualty that the Italian brand was born in Florence, which is the Renaissance city by excellence and whose ages and motifs have been used by the brand in different occasions. 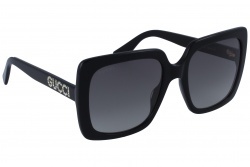 It was founded in 1921 by Guccio Gucci, but it was in 1947 when his son created the iconic brand's symbol. 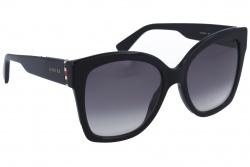 Inside our webpage, it is available a great variety of Gucci's models with the best prices and great discounts. Besides, our professional team will assess you during the purchase process.